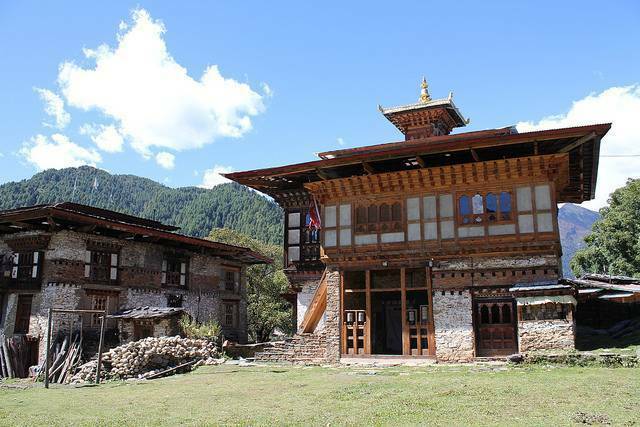 Ngang Lhakhang is a Buddhist monastery located in the right side of the Choekhor Valley in Central Bhutan and just a few hours walk from the Tangbi Goemba. It is located 100 m above the floor of the valley. It also known by the name “Swan Temple”. Bulit as a private temple in the 16th century by a Tibetan Lama named Namkha Samdup who was a contemporary of the saint Pema Lingpa and had also built the Namkhoe Lhakhang. During winter, a festival is celebrated for three days in the honour of Namkha Samdup its founder by performing mask dances. This place was also visited by Guru Rinpoche.